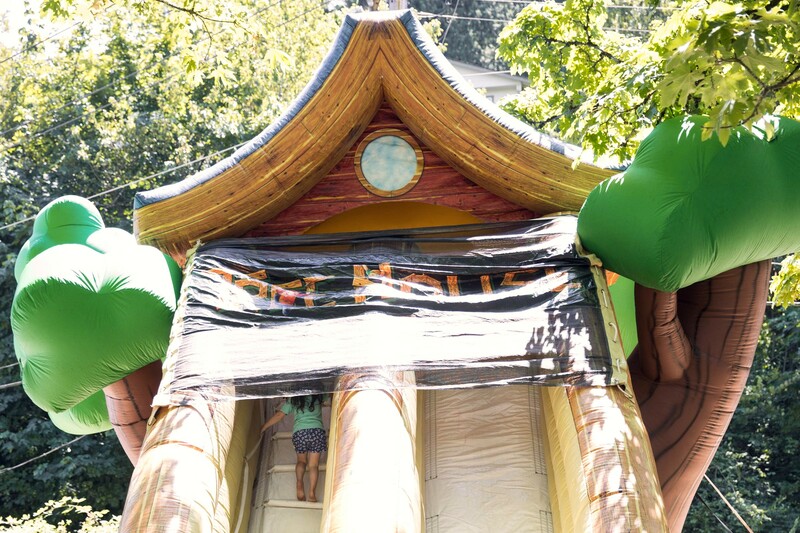 The inflatable tree house slide is every child’s dream come true! 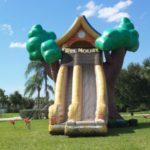 From front to back; the tree house slide displays amazing craftsmanship and outstanding graphics. 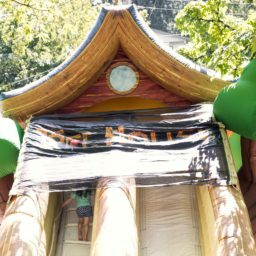 Participants climb up the staircase to reach the top of the 20′ tall tree house, which sits on top of a gigantic tree trunk, and then slide back down to the bottom. 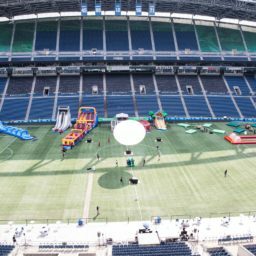 There’s no need to bring your framing hammer or nails; this slide is completely portable and sets up in minutes. 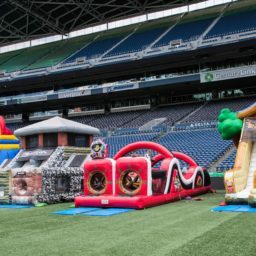 Great for kids and adults and perfect for indoor or outdoor facilities! 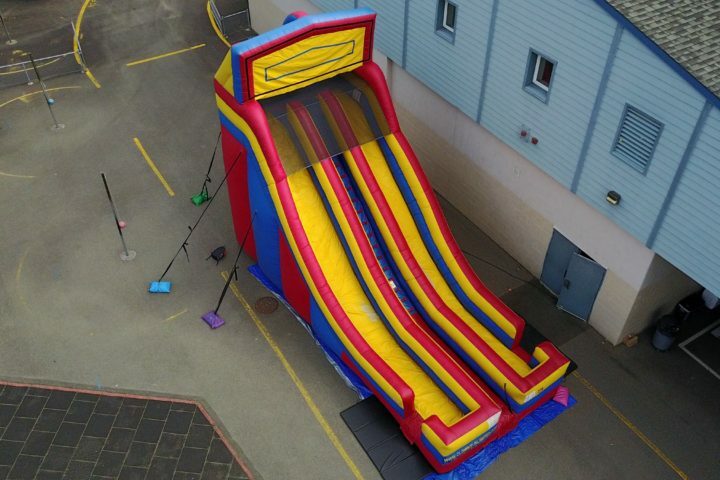 The 24-ft modular slide is an awesome addition to any event. It can come un-themed, or it can sport a number of different themed banner options. Come One, Come All, the Circus is in town!!! This is an exciting 3 lane slide with Eye Popping artwork. 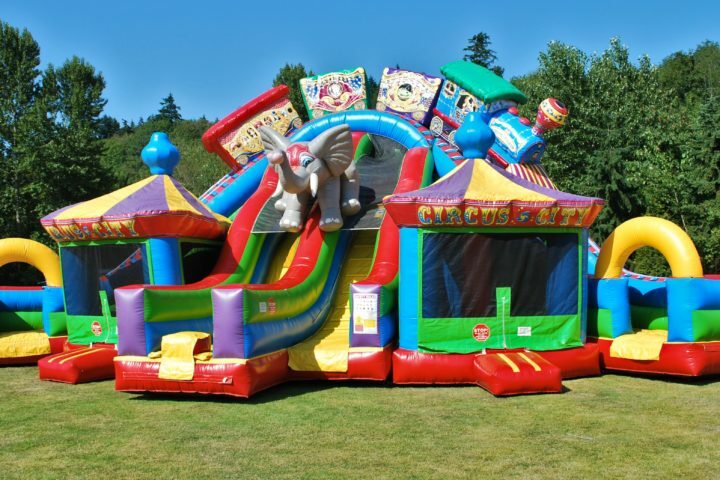 Comes with two small carousel themed bouncers that add to the charm and excitement.